Being the eighteenth in a series of posts about a book proposal, from concept to print. To my relief she replies that yes, she does. Brown has the package as “out for delivery” so I’m sure that I hear the truck every few seconds. I’m on at least pins if not needles too. 4:55 p.m. Brown came, and Brown went. The driver said he knew he was supposed to have something for me, but he couldn’t find it in the truck. “We’ll probably deliver it tomorrow,” he said, and drove away. Being the seventeenth in a series of posts about a book proposal, from concept to print. When I sent in my proposal for Easy Appliqué Blocks I made sure they knew I didn’t know HOW to make the CD, just that there should be one. All along I had been envisioning a CD that would open up and show a bunch of folders that you would navigate through to find the pattern you wanted. Despite the fact that I write my own website in HTML and got under the hood in WordPress to change the look of my blog, I am soooo not a techie. ‘Folders’ was the extent of my imagination when it came to the organization of the CD. Imagine my bewilderment when the preliminary CD site map came to me and it was talking about browsers and links. I didn’t quite get it at first. Robin took the time to walk me through it, and then, all of a sudden, the ol’ synapses fired up. This was suddenly so very cool! This CD is going to be incredible! It’s going to act very much like a website when you get into it, and it’s very easy to navigate to the pattern you want to print. I did have some comments about the site map (aka flow chart) and over-achiever that I am, I recreated the whole thing, with boxes and arrows. This helped me get my mind around it. I sent my version back to Robin. After looking at it, she could tell that Adrienne (the book’s illustrator and the person developing the CD) and I were on the same page. Robin liked my added suggestions on how to organize the blocks. Some of my arrows were not needed, thankfully, as some pages can just be closed and you’ll be back where you were, instead of clicking back. The next step (gulp) is to see the book one more time before it goes to press. Right now, during August 2008, the book designer is hard at work turning the Word document into a beautiful colorful book all laid out with the photos and illustrations where they’re supposed to be. When next I see it, it will be what they call “first pages” (sometimes called “galley proofs.”) Can’t wait! Stay tuned. P.S. 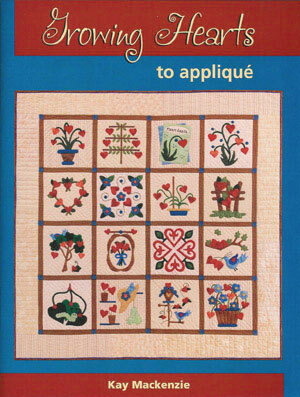 Mark your calendars for the Easy Appliqué Blocks blog Book-A-Round, March 27 through April 5! For more information, click the logo in the right-hand sidebar. Being the sixteenth in a series of posts about a book proposal, from concept to print. About a week after I sent the me-edited copy-edited manuscript back, there was one more round of edits by email. Not the whole manuscript… remember, we’re only circulating one copy on paper from now on… but Robin had a few more finishing touches to chew over with me and she just wrote them out in an email. Here’s how she started out… “Kay, I have to say that you are an excellent writer. It is a joy to see how you craft your words.” Nice! By this time Robin and I have both discovered the same trait in each other… the attention to detail and the thought behind every word. She has told me how she appreciates that I look carefully at everything she sends. How could an author not? The next step is to work on the CD site map. What does that mean you may ask. As did I. Stay tuned! Being the fifteenth in a series of posts about a book proposal, from concept to print. It’s June 2008. The manuscript for Easy Appliqué Blocks now leaves tech editor Robin’s hands and goes to the copy editor. The copy editor’s job is to look at everything in terms of grammar, spelling, consistency, logic, and the Martingale style guide. There will be no more editing by email. From this point on it’s all done on paper. (This avoids having too many versions floating around, and it sounds like they learned this the hard way :). I received the copy-edited version by snail mail, settled in with a cup of tea, and gave it a thorough read. In a few places I stumbled over rough patches where added detail plus removal of commas made things seem to rush headlong. Some sentences weren’t what I’d like, and there were still some not-quite-right things about the illustrations. All normal at this point. I rolled up my sleeves and got to polishing! There’s actually a lot of humorous stuff going on by now. For example, there’s the word “fine.” I started out talking about fine thread for appliqué. The question comes back, what is meant by fine thread? Thin? High quality? I change it to skinny. Skinny is not going to fly so it’s changed to fine, thin thread. Needles can’t be skinny either so the copy editor changes it to thin. I don’t like thin so I change it to slender. We’ll see what it ends up being! The copy editor says that appliquér needs to be spelled appliquer, but that bothers me totally. That just looks like applikwer. Why is it that you can write appliquéing but not appliquér? I write a long impassioned plea on the manuscript to keep the accent. We’ll see. I dug out my guidelines for proofreading marks and had a high old time of it marking up the paper manuscript. It took me back to my high-school journalism days, when I used to LOVE working on the Chapel Hill High newspaper. I even get to use ‘stet’ a few times. That reminds me… Robin sent me a link to the Yarn Harlot’s blog where this very well-known knitting author wrote about the publishing process. Hilarious! For a good laugh about stetting, read her posts of January 24 and 25, 2008. I put it off as long as I could. I had to take care of my author photo, as I’d received a nudge from the author liaison. I begged Gregory Case to take me in, and he gave me an appointment for a sitting. I drove “over the hill” to San Jose and emerged unscathed from the photo session, and with a pretty decent photo. See the first in this series if you haven’t already done so. I sent the marked-up post-copy-edit paper manuscript back to Robin on July 2, 2008, a couple days before my deadline. Stay tuned! Quilting Gallery is hosting a month of guest bloggers! Tonight it’s my turn. You can read my guest post and posts from quilting bloggers from around the world all during the month of February. Fun! A couple days ago I drew a new pattern and set out to stitch it up. When I was done, I held it up for DH Dana to see, as I often do. A strange look came over his face. I could tell he was underwhelmed. I kept asking him what it was about this pattern that bothered him, and he couldn’t quite put it into words. He kept saying things like, “It’s her back,” and I kept saying, “Yes, it’s her back. There are plenty of traditional patterns that show the backs of figures… you know, like Overall Bill.” I even hauled Barbara Brackman’s Encylcopedia of Appliqué and showed him several old-timey patterns like Paper Doll, Dutch Boy, Cowboy, Indian Princess, where we see the back. “Okay,” he allowed, but I could tell he still wasn’t sold. Finally he came out with it… “It looks like she’s been run over by a steam roller,” he pointed out. I had to laugh at that, and we both remembered seeing the play “The Quilters” where there’s a whole monologue about “The Demise of Sunbonnet Sue” in which Sue meets a variety of creative and grisly ends. That sent me into peals of laughter. The next day I obliged him with a revised version. Dana was so tickled by this that he actually put up an off-topic post on his chess blog about it! Go check it out if you’d like to read his version of the story. 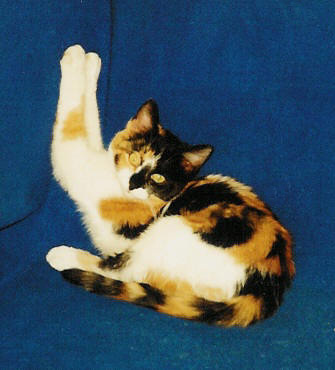 He also put up some great links about what other quilters have done to poor Sue. Okay, this brings me to my need for consultation. Help me… is this pattern road kill?